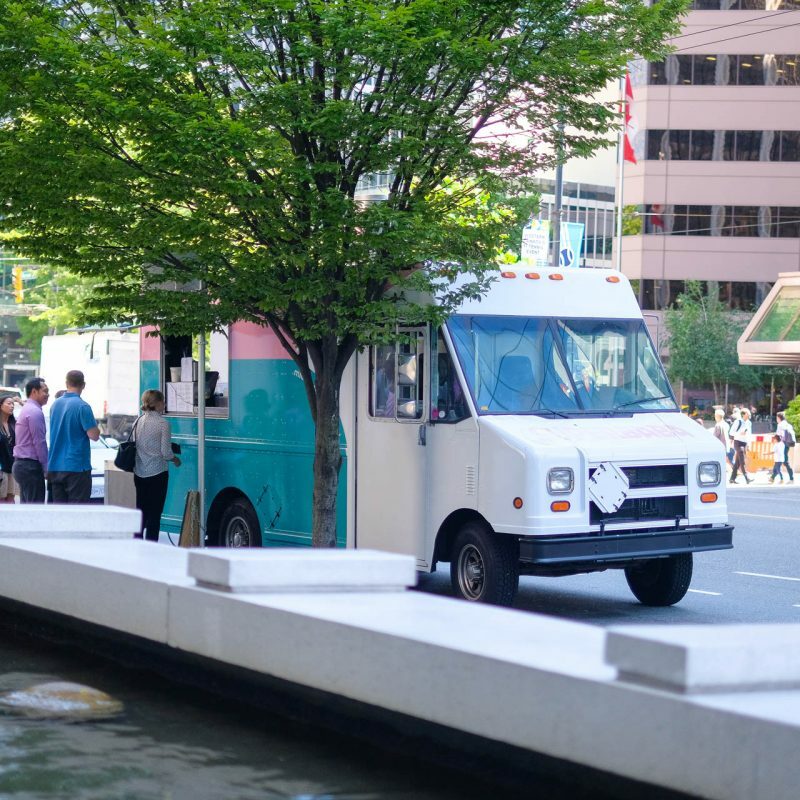 I asked my Instagram followers where to go for lunch in a “Choose-Your-Own-Adventure”-style Instagram Stories poll that went “Food Truck or Resto”, then “Superbaba or Marimba”. Superbaba won! Here’s the aftermath. 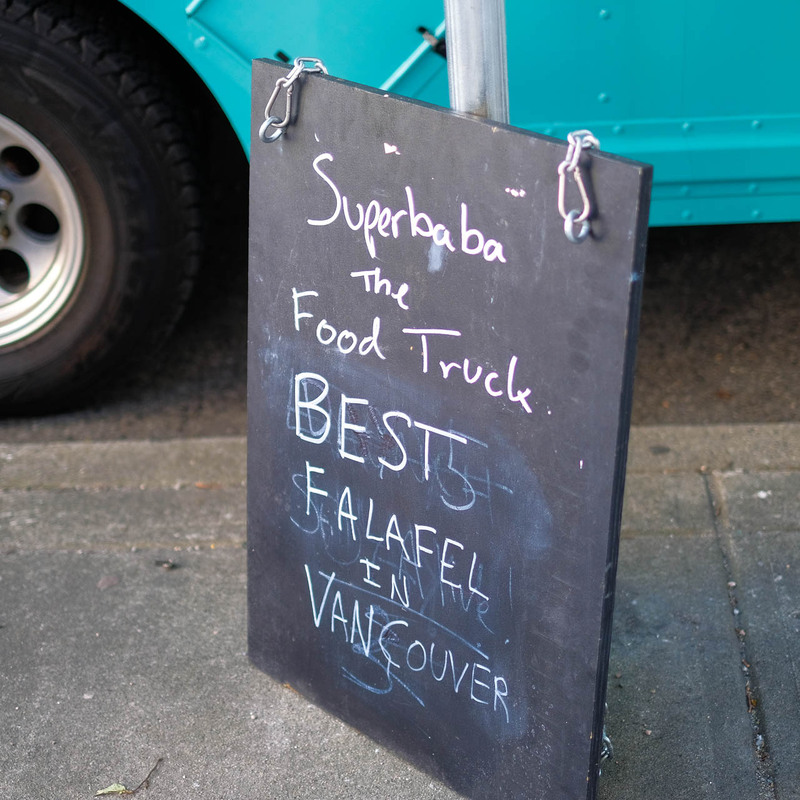 Superbaba’s truck is parked at 555 Burrard, Monday to Friday, from 11:30am – 2:30pm-ish. 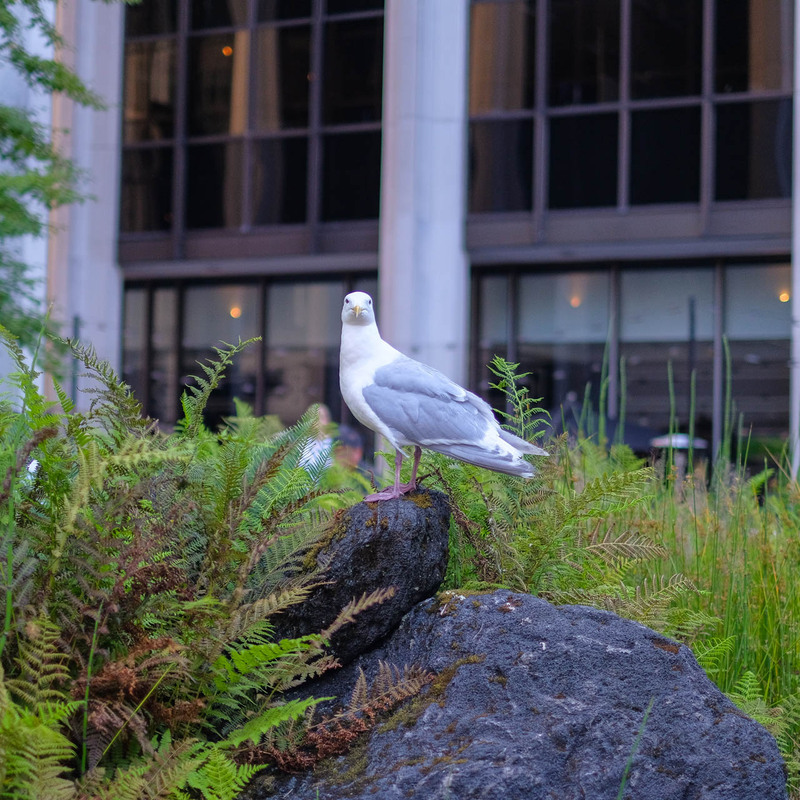 It’s a block away from Burrard Skytrain Station. 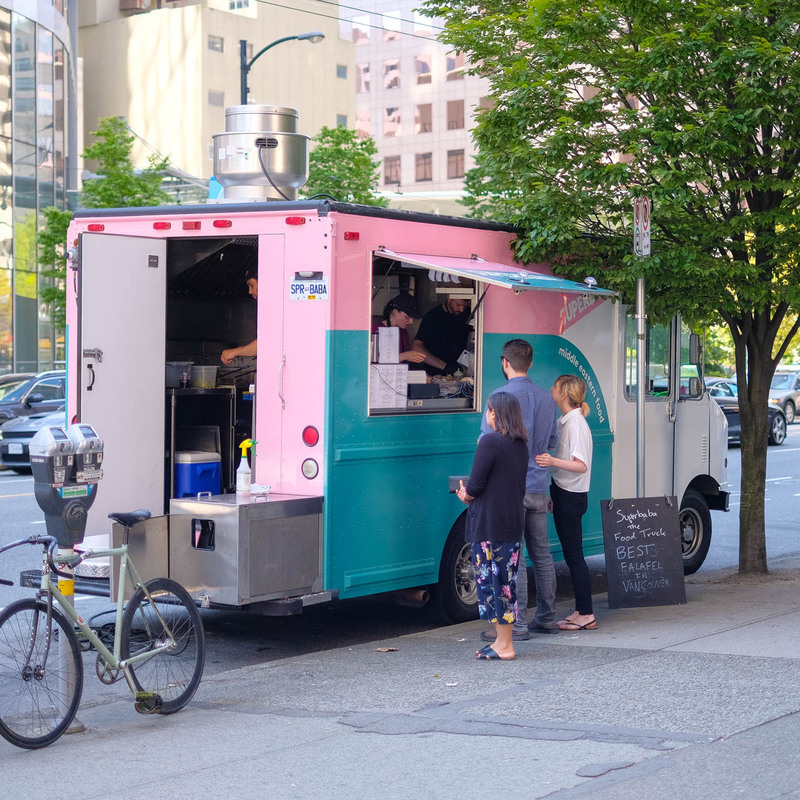 Superbaba has an extremely well-received counter service restaurant in Victoria and just launched their Vancouver-based food truck on June 20. Love the fresh-feeling 80s colours. 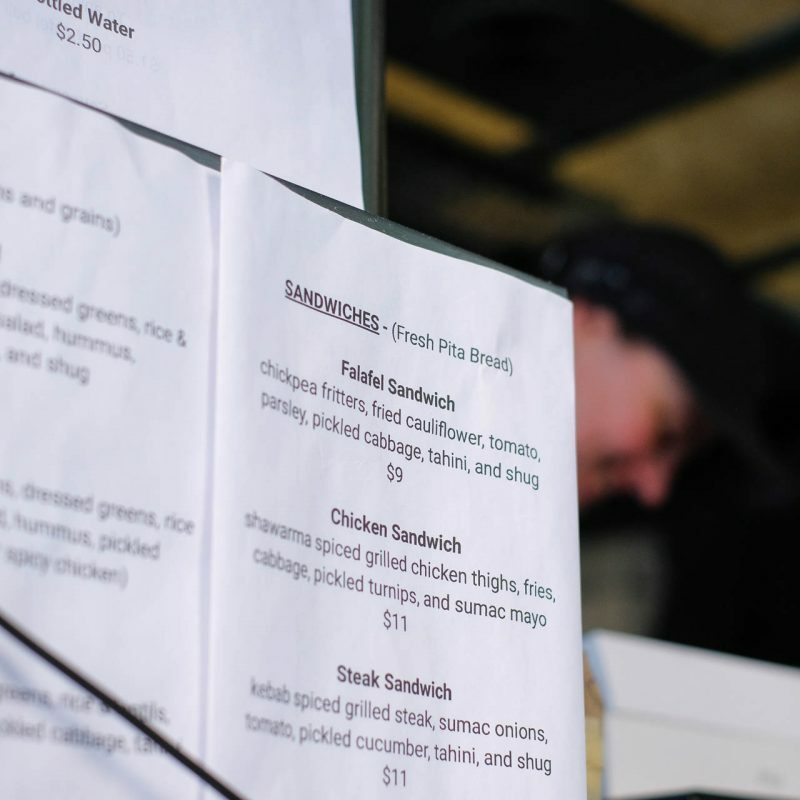 I went for their Falafel Sandwich because nothing beats a freshly-fried falafel that’s crunchy on the outside and light ‘n soft on the inside. 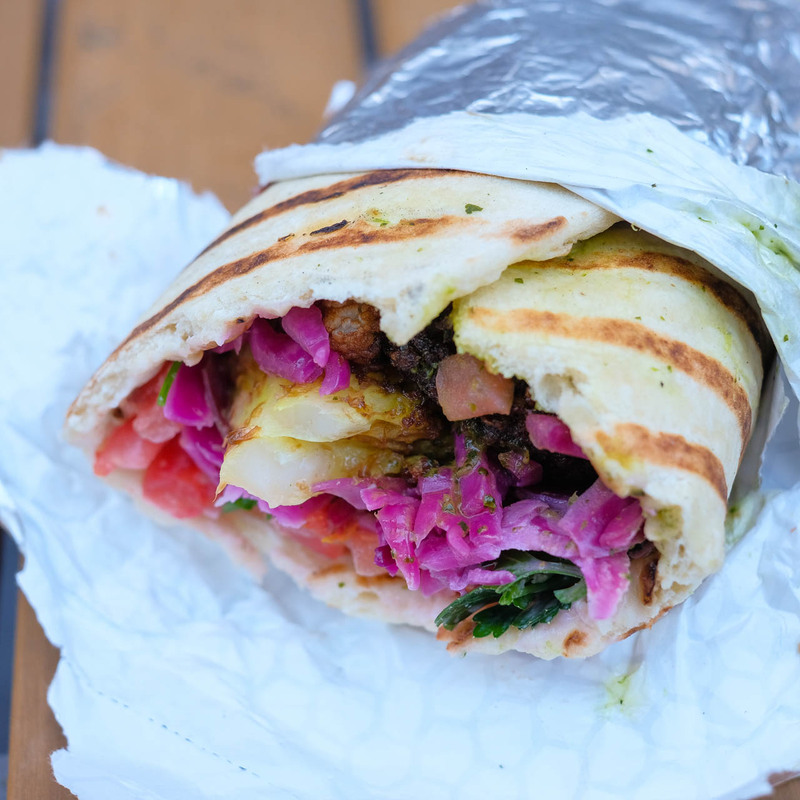 Superbaba puts “shug” (a Middle Eastern hot sauce) in some of their wraps. 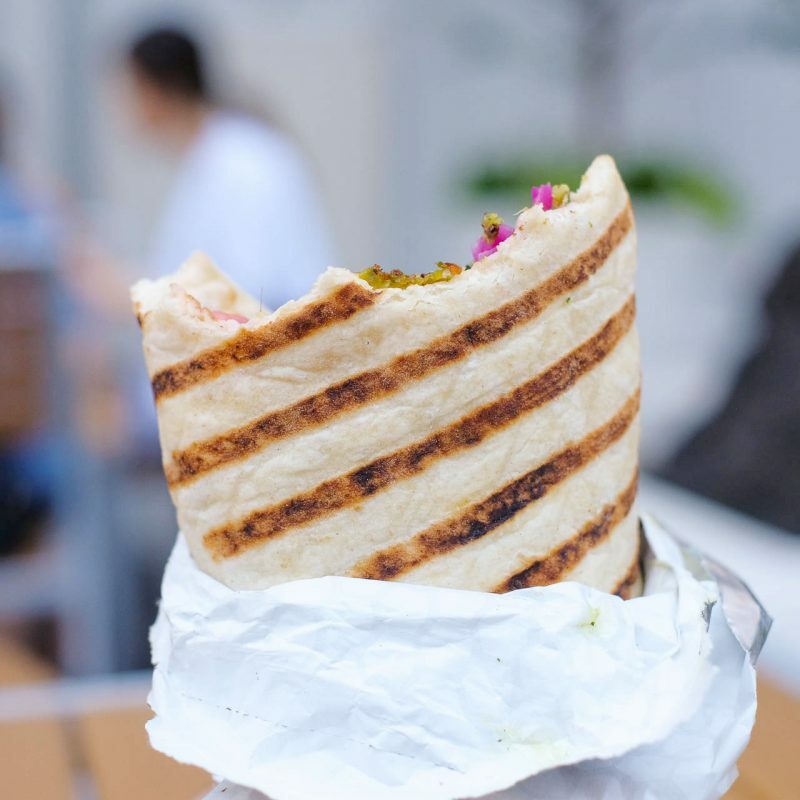 Also known as schug, zhug, zhoug, zhuk, etc, the last time I had shug was at the old Mangal Kiss truck that shut down back in 2016. 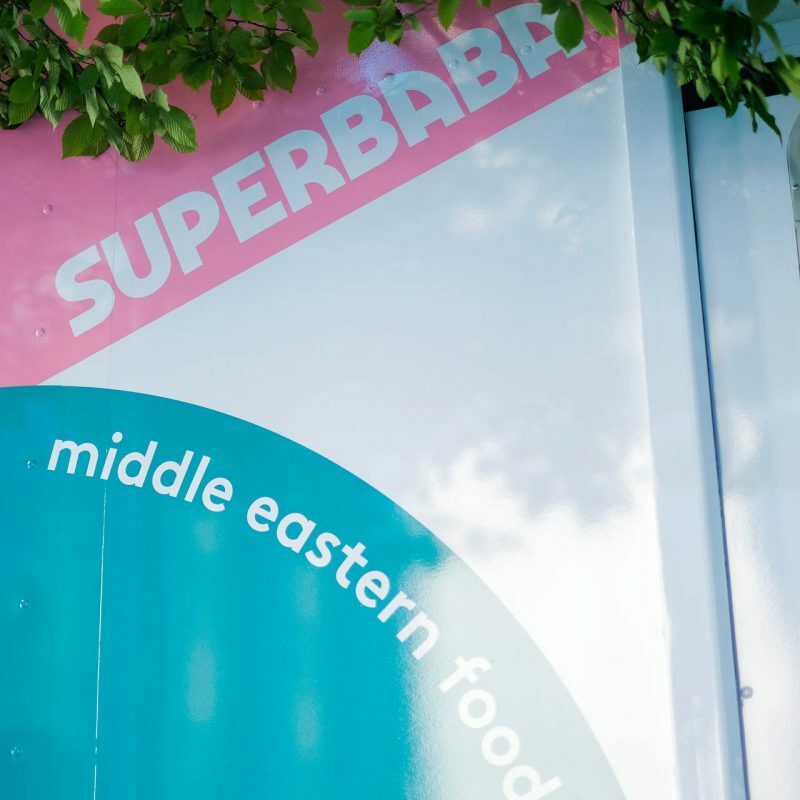 I haven’t found a replacement for their food…maybe Superbaba can be their spiritual successor? 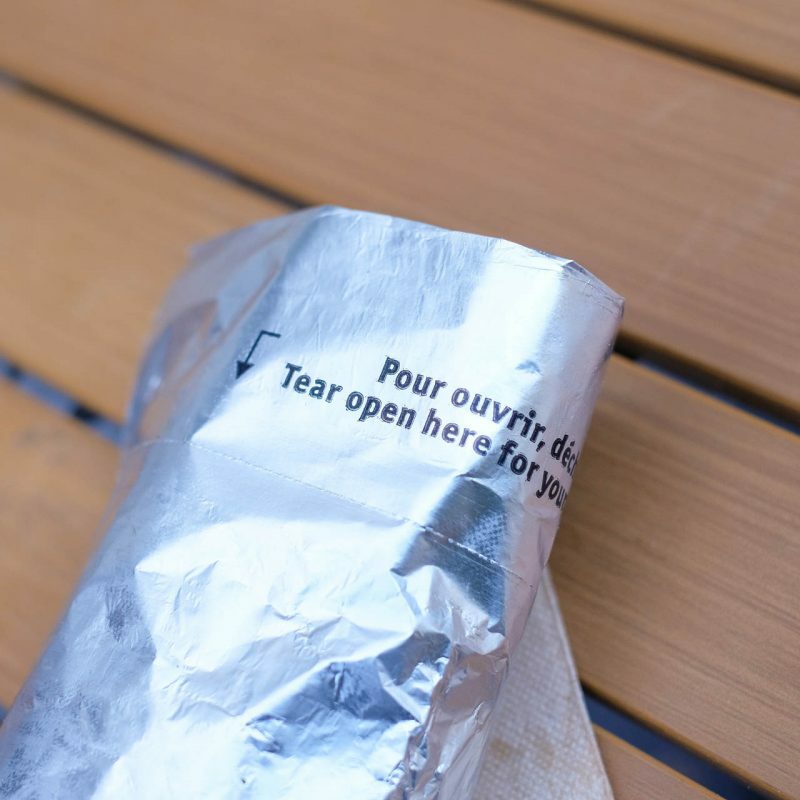 The foil wrap has a handy tear-off top. 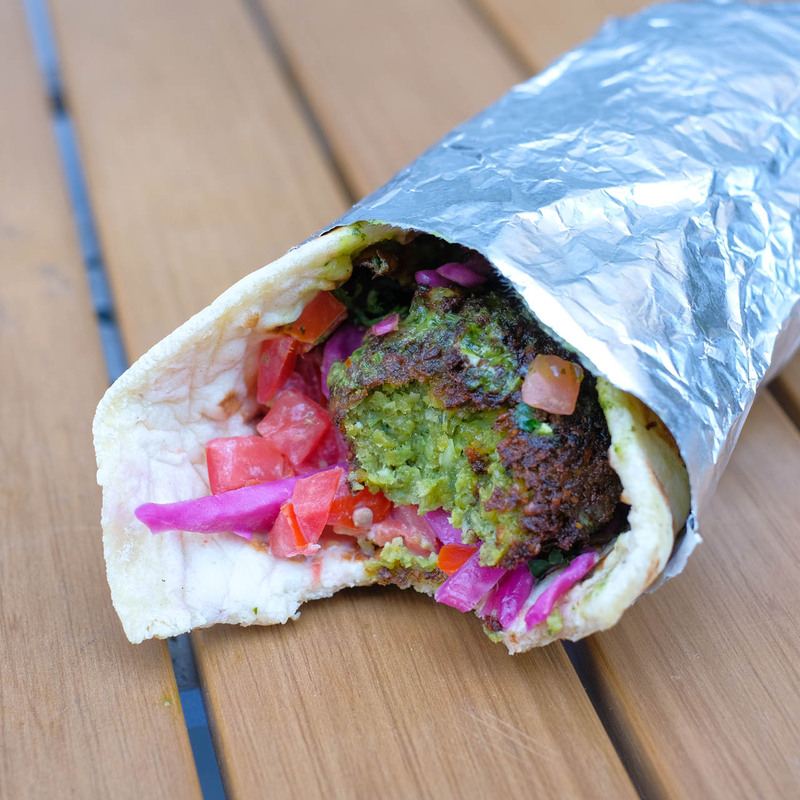 Falafel Sandwich ($9) with chickpea fritters, fried cauliflower, tomato, parsley, pickled cabbage, tahini, and shug. 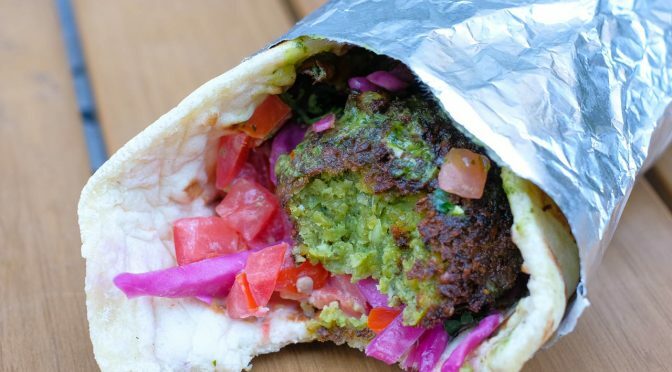 Beautiful colour on the falafel! You can see the green shug in there too. They bake these pitas every morning. I love the grill marks on these! Soft and fresh. 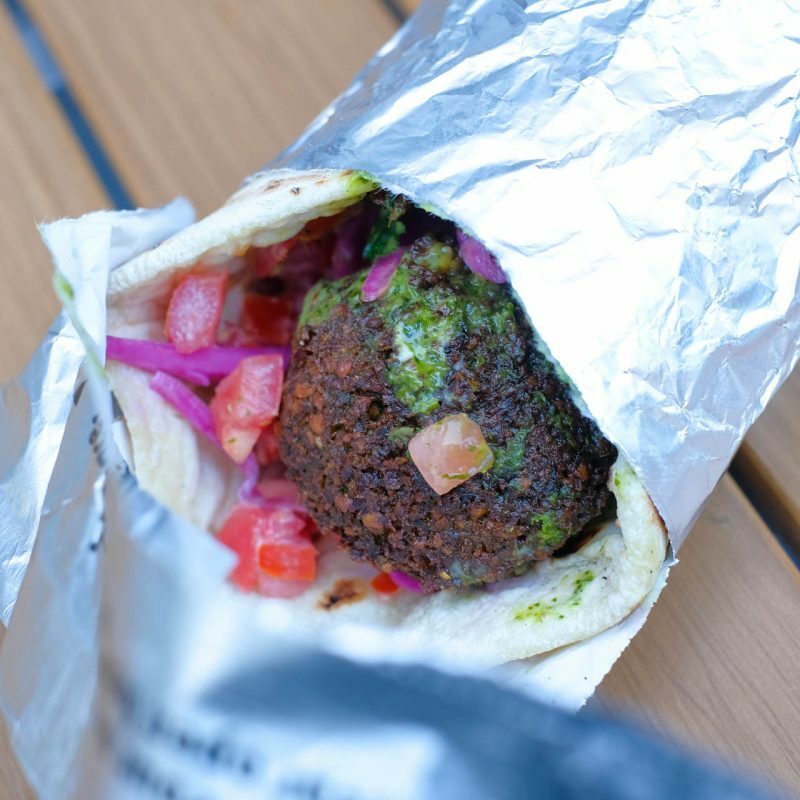 Not a dried out, chewy pita here! They go easy on the sauce here, so the freshness of all the ingredients really stand out. If I had to tweak anything to my own taste, I’d ask for 3x the shug to pump it up a bit. A very positive first visit. That freshness wrapped in even more freshness is irresistible! This guy was eyeing everyone’s food the entire time. 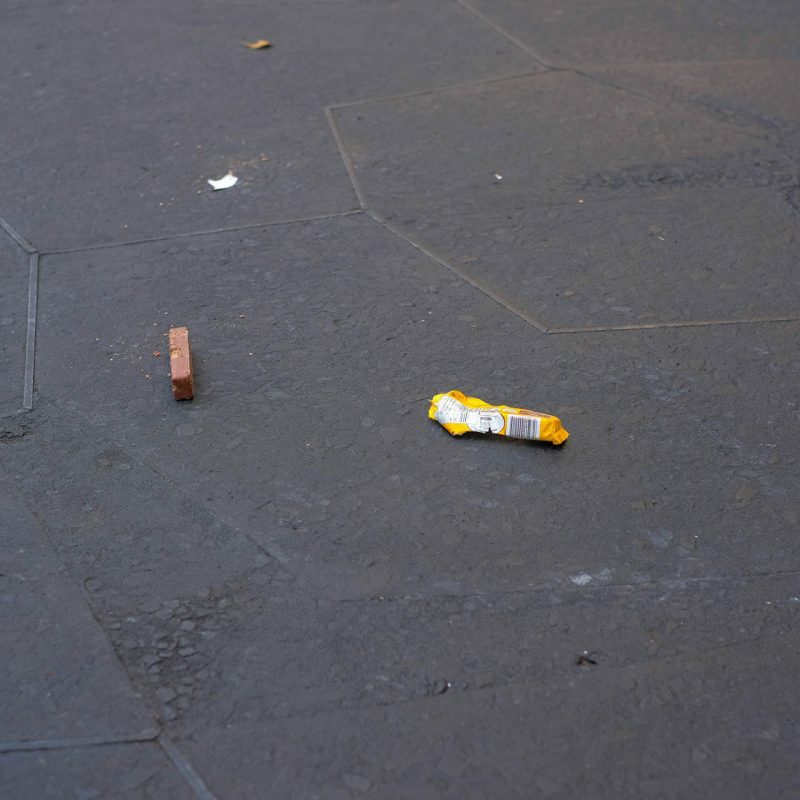 He somehow snagged a full Coffee Crisp® bar but only nibbled a tiny bit of the outer chocolate, then abandoned it to go gargle and rinse his mouth out in the artificial pond. Now I feel like a Coffee Crisp®. Thanks Dennis, totally worth a try.